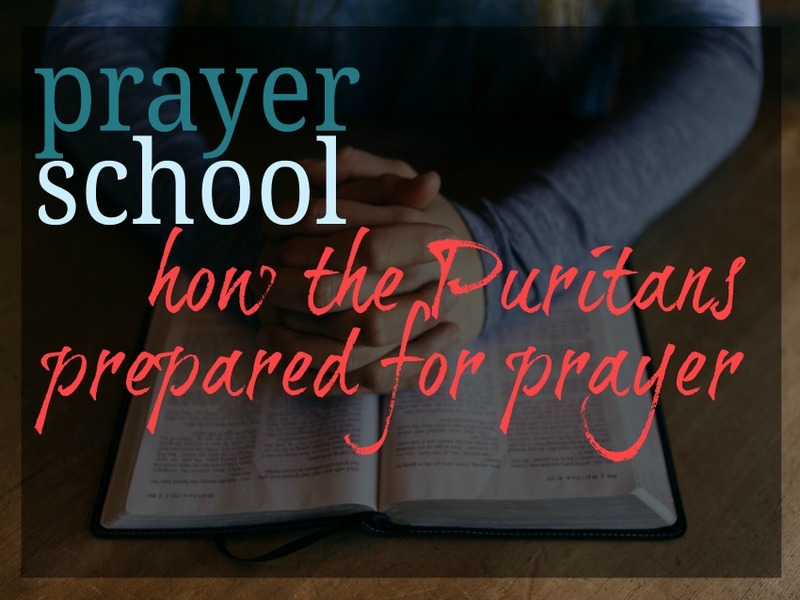 In these prayer school posts, I'm learning and playing around with different ways to improve my personal prayer life and sharing them with you. None of these is the "right" way to pray, and your prayer time doesn't have to be a long, meticulous time. There is time and place for quick "arrow" prayers as well as time for longer, meditative, thoughtful prayers. I find that I'm pretty good at those "arrow" prayers, but not so wonderful at the deeper prayer times. So therefore, I keep trying to learn from those greater than I. In the first part of Secret Prayer, the author Samuel Lee, encourages us not to rush suddenly into the awful (think awe-full, full of awe) presence of God and asks us instead to set ourselves to seek the Lord. As usual, the thought is easier than the practice, so I thought I'd list his 5 points for preparation, and then how I tried to apply them to my prayer. Consider the attributes of God that relate to your petitions. To consider the attributes of God, you have to know some attributes of God. In an earlier Prayer School post, I encouraged you to make a list of some of the attributes of God from Psalm 51-59. Filling a whole page of them makes this part of prayer easy. Today is Wednesday and on Wednesdays I pray for myself as a mother. So I was able to turn to my attributes page and pick out all the attributes God shows that are applicable to being a godly mother and ask for them for myself. Wonderful, powerful stuff. Think on the promises of God that relate to your prayer petitions. When praying through the attributes of God in the above part, I focused in on God's wisdom. Oh how I desperately need God's wisdom as a mom. As I was thinking about it, Proverbs 2:2-5 came to my mind. (Understand, however, when I say Proverbs 2:2 came to my mind, I remembered just the gist of the verse... I didn't remember the reference or the entire section, but knew it was in Proverbs somewhere. I'm not a spiritual superstar by any means, but am thankful that the Spirit can call to mind and make connections even in my weak mind.... Keep reading the scriptures--even when it seems dry! The Spirit cannot use what you don't put in there!) There are many other promises of God about wisdom, but I didn't want to get distracted by looking them up at the time. Here we are again with argumentative prayer! Arguments are not disrespectful fist shaking demands, but thoughtful reasons. Basically I think of it as asking myself "Why am I praying for this?" Unfold your reasons, be thoughtful. Why do I ask God for wisdom in my parenting? Because I absolutely cannot do this without Him. Wisdom comes from Him and is the beginning of all understanding and since no wisdom worth anything comes from this world, I need His wisdom to be successful. I can also argue that the Lord loves my sons even more than I do and He wills for them to live for Him. He wants to teach them. He wants to give them a heart of flesh and not of stone. All of these arguments and more! Like the father in Mark 9:24, cry out for help in prayer. Come to God humbled that you don't do this well and ask for His Spirit to pray for you and teach you. Romans 8:26. Engage your heart to keep focused and reverent. Lee states it this way: "Let your hearts be above." Ouch. I think of it as that birthday party game where you try to keep the balloon afloat by hitting it back up in the air when it comes down. The entire time you are playing that game, you are looking up at the balloon, even as it drifts down to the ground, you are purposely keeping your eyes on it. If you turn away, it falls to the ground and usually gets popped. I know that as I pray I have a very short attention span. I also know that God doesn't require perfection but a sincere heart. So as I'm praying and that balloon drifts down when I'm thinking about chores, things to do, people, places, or random songs, I just have to hit that balloon back into the air and keep trying. when the heart does not watch while the tongue utters?" What do you think? Were there any of the points that really stood out to you? Which ones? Let's chat in the comments! Right? I struggle so much with keeping focus. Just today I was praying and thought "I should really re-do the baseboards in the kitchen." What?! Where did that even come from?? I tossed the balloon back in the air and tried again. I love all of it. Thanks so much for sharing your gleanings. Thanks for commenting. I pray it will help! I am really enjoying these Prayer School posts. Thanks so much for sharing what you are learning. Thanks Pam! Praying these will help all of us grow closer to our Lord! This so good. I'm really learning alot from your prayer school. Today, what you said about argumentative prayer and "unfolding my reasons", that part is starting to make more sense to me. And the red balloon and the need to keep our hearts focused and reverent on things above. In other words I loved all of it. Thank you Kari. I'm so happy you are learning with me! Thanks! And in the dry season my friend reminded me that no matter what it is washing you. Ephesians 5:26 Thank you for the good site of free electronic reading. Blessings. I love that verse in Isaiah. Thanks for the reminder! These posts have helped me during my prayer times. Thank you! your devotion to the Lord gives me strength to keep on going and it really creates an increased interest in learning more about Him. What you are doing is led by the Holy Spirit !